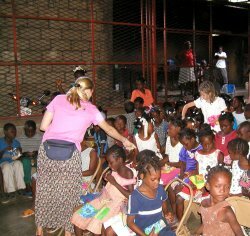 The Haitian orphanage, then located in Pont Sonde, was the original focus of ministry for Starfish at its inception in 1998. Childcare International, the Christian relief organization that founded the orphanage, had decided in late 1997 that it could best serve its mission by narrowing its focus and eliminating administration and support of the orphanage from its ministries. Childcare invited Bernie and Sheryl Bovenkamp to take over those responsibilities, and they responded by forming Starfish. During the first few months under Starfish’s direction, the orphanage reached its maximum capacity of 48 children. The immense need in Haiti coupled with the overwhelming desire of God’s people in the United States and Canada to help these children prompted Starfish to begin exploring options for more room. The natural solution seemed to be to build a second orphanage on available adjoining property in Pont Sonde. But God had a better idea. 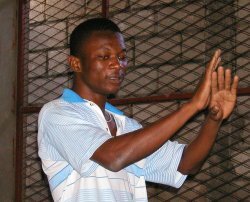 God directed Starfish to the remote village of Tricotte in Northern Haiti, and the wisdom of God’s plan began to become clear. The village of Tricotte was a largely Christian community eager to provide the children with the emotional and spiritual “family” support these orphans needed every bit as much as the food, shelter, and education they received in Pont Sonde. And a Tricotte orphanage would alleviate many of the safety concerns that existed in Pont Sonde. In mid-1999, Starfish purchased property in Tricotte and moved the children from Pont Sonde into a small house near the location of their future home. And later that year, construction began on an orphanage with twice the capacity as the one in Pont Sonde. The following year, 2000, the children moved into their new home, and almost immediately the needy orphans from around the region filled it to capacity. 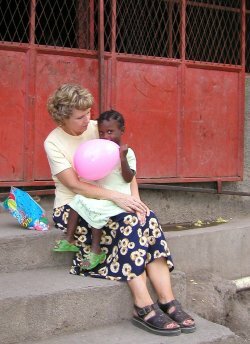 In February 2013, the orphanage in Tricotte houses 60 children. The orphanage continues to be the cornerstone of Starfish’s ministry in Haiti. Starfish’s educational ministry is centered in the region surrounding Tricotte as is much of the other ministry Starfish is involved in. And Starfish short-term mission teams are based in Tricotte and generally spend a significant amount of time ministering to (and being ministered to by) the children.